The University of Dundee will help to inspire the next generation of female scientists when it welcomes around 80 local youngsters to campus tonight. Members of Girlguiding Dundee will have the opportunity to earn a unique badge on an educational visit to the University’s School of Life Sciences. The ‘Medicine Maker’ insignia will be awarded to Rainbows, Brownies and Guides when they work with University scientists to learn about bacteria, disease and the role of women scientists to mark UNESCO’s International Day of Women and Girls in Science. The badge and activity pack have been developed by Dundee Psychology undergraduate Jess Morris, herself a Guide leader, and a team of scientists led by Medicinal Chemist and Brownie leader Dr Fiona Bellany, of the University’s Wellcome Centre for Anti-Infectives Research (WCAIR). Jess said, “Fiona gave a talk to the girls about her work as a scientist, and they were surprised to find out about Dundee’s world-leading role in ‘Medicine Making’. We decided that we wanted to make sure that Girlguiding members could learn more about science in a fun way.” Jess balances volunteering as a Guide leader with her studies and is one of many Dundee students who help to run Rainbow, Brownie, Guide and Ranger units around the city. As well as the inspirational female scientists already working on campus, the University can proudly boast to have astrophysicist Dame Jocelyn Bell Burnell as its Chancellor. A role model and champion for women in science, she is the first female President of the Royal Society of Edinburgh and is famous for discovering pulsars - rotating neutron stars that appear to pulse as the radio beam they emit sweeps repeatedly across the Earth. 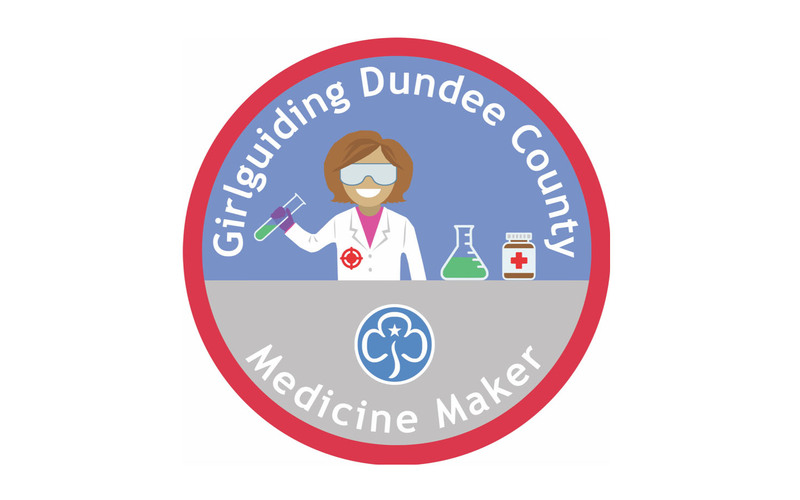 Rainbows, Brownies, Guides, Rangers and adult Girlguiding members around the country will be able to download the activity pack from the WCAIR website, and work on the challenges themselves, spreading the word about Dundee’s role in Medicine Making far and wide. Badges will be sold for £1 each, and 50% of the profits will go towards Girlguiding Scotland’s work in Africa where infectious diseases are hugely prevalent. The remainder of the proceeds will go towards the Girlguiding Dundee Financial Assistance Fund to help units within the city.